We are proud to inspire our customers with original and award-winning designs. From initial sketch to final product, at BergHOFF we put our heart and soul in every single creation. 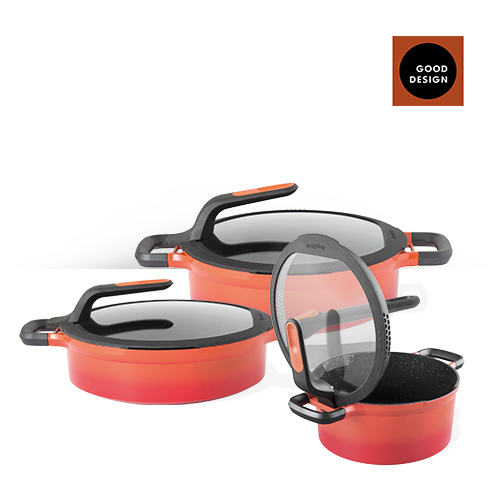 We firmly believe in providing the complete cooking experience with a full range of products that spark excitement. 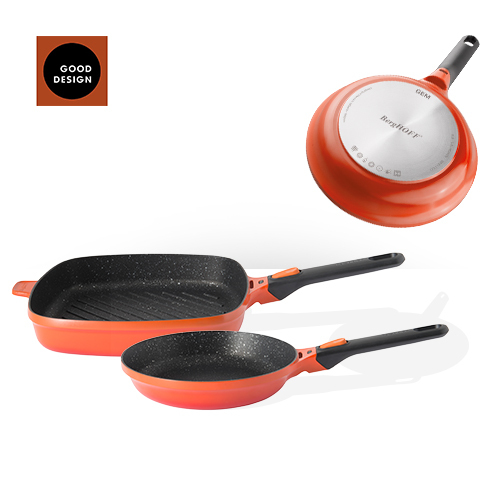 At BergHOFF we continue to work on our versatile assortment with its unique features while staying true to our philosophy of offering affordable quality and design to a broad audience of cooking enthusiasts. 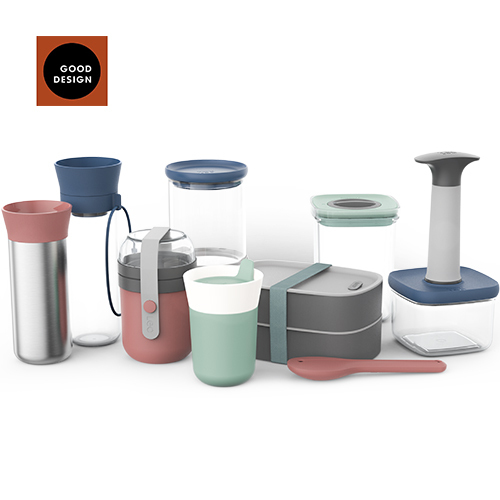 The international Red Dot Award is one of the most sought-after quality marks for good design. Each year an international jury reviews and evaluates the submitted products according to criteria such as degree of innovation, functionality and formal quality. 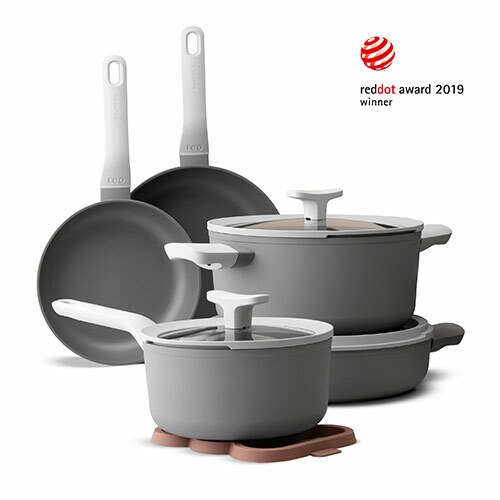 The best products of a category are awarded the Red Dot Best of the Best Award. Entries that impress with a well-thought-out detail solution are rewarded with the Honourable Mention. The iF Product Design Award is one of the world's key design competitions. An international jury of experts selects the winning products taking criteria such as design quality, functionality, ergonomics and workmanship into consideration. The Henry van de Velde Awards are the most important Belgian design awards. They honour authenticity, innovative thrust, creativity and added value. The German Design Council is one of the world's leading centres of design expertise. Each year they grant the German Design Award as recognition of outstanding design quality. Only proven experts and selected members are authorized to suggest nominations for this prestigious award. The Chicago Athenaeum's Good Design Award was established in 1950 and is one of the worldâ€™s oldest awards programs. The program honours designers and manufacturers for visionary and innovative product concepts that go beyond what is considered basic product and consumer design. Want to soak up the BergHOFF atmosphere and stay up to date on the latest BergHOFF news?